Wilf worries quite a lot. About quite a lot of things. Well, if we're being totally honest, he worries about almost everything. Stuffed animals for instance. And peanut butter makes him nervous, too. And, as for those awful insects that have waggly feeler thingies instead of eyes? Well, they're something he can't even bear to think about. So, when the most evil man in the world (named Alan) moves in next door one day, Wilf is understandably rather alarmed. Especially after he learns that Alan is a self-styled Evil Lunatic, with his own grumpy robot sidekick to complete the package. Wilf's only ally in his desperate struggle to put a stop to Alan's plan to destroy the world is his sticky little sister, Dot. 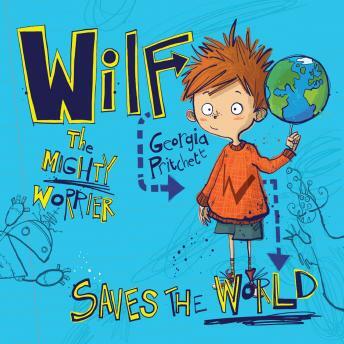 Can Wilf stop worrying for long enough to save the world?